You might be relatively healthy now and assume that this will continue for many years. 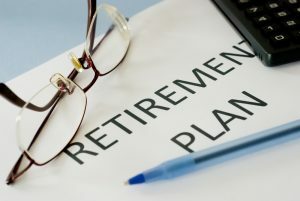 But considering that plenty of research shows that most people entering retirement will need long term care assistance at some point in their life, you should never neglect the possible health care costs of long-term care in your retirement plan. The most expensive long-term care options, a nursing home, can cost up to $97,000 per year. Many Americans have a blind spot when it comes to retirement planning because they do not incorporate long-term care at all. Many underestimate the costs of health care planning and assume that their health insurance will cover it but Medicare is extremely limited as far as the coverage provided to those individuals in nursing homes and Medicaid can be difficult to qualify for if you do have access. This means you might be required to spend through your assets or to self-fund your long-term care until Medicaid kicks in. The U.S. government has conducted research showing that up to 70% of people aged 65 will receive some type of long-term care during their lives. This could add up to nearly $150,000 in long-term care costs over the lifetime of an elderly person, according to research released by a 2007 Bipartisan Policy Center report. Up to two-thirds of Americans aged 40 and older admit that they have done no planning for their long-term care needs, according to research shared by the Associated Press NORC Center for Public Affairs Research. Your retirement planning should always incorporate long-term care needs. Schedule a consultation directly with an experienced attorney today.